Or, get it for 48800 Kobo Super Points! In 1835 Oberlin became the first institute of higher education to make a cause of racial egalitarianism when it decided to educate students “irrespective of color.” Yet the visionary college’s implementation of this admissions policy was uneven. 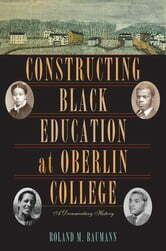 In Constructing Black Education at Oberlin College: A Documentary History, Roland M. Baumann presents a comprehensive documentary history of the education of African American students at Oberlin College. Following the Reconstruction era, Oberlin College mirrored the rest of society as it reduced its commitment to black students by treating them as less than equals of their white counterparts. By the middle of the twentieth century, black and white student activists partially reclaimed the Oberlin legacy by refusing to be defined by race. Generations of Oberlin students, plus a minority of faculty and staff, rekindled the college’s commitment to racial equality by 1970. In time, black separatism in its many forms replaced the integrationist ethic on campus as African Americans sought to chart their own destiny and advance curricular change. Oberlin’s is not a story of unbroken progress, but rather of irony, of contradictions and integrity, of myth and reality, and of imperfections. Baumann takes readers directly to the original sources by including thirty complete documents from the Oberlin College Archives. 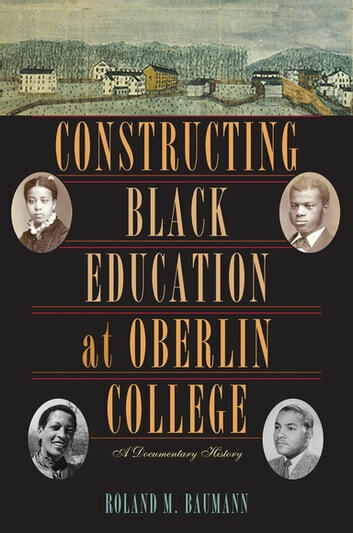 This richly illustrated volume is an important contribution to the college’s 175th anniversary celebration of its distinguished history, for it convincingly documents how Oberlin wrestled over the meaning of race and the destiny of black people in American society.